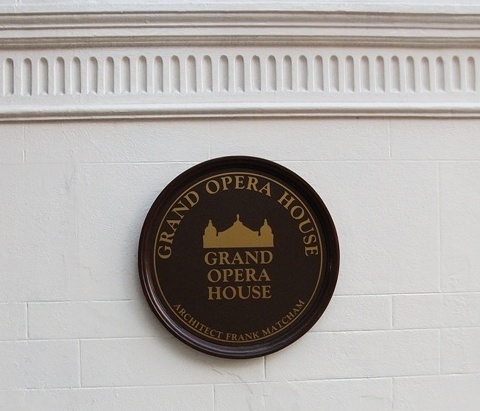 The Grand Opera House, Belfast, first opened its doors on 23 December 1895. The first season included burlesque acts, musical comedies, farces and melodramas. Good job the Free Presbyterians were not invented back then or the house would have been pulled down in disgust! 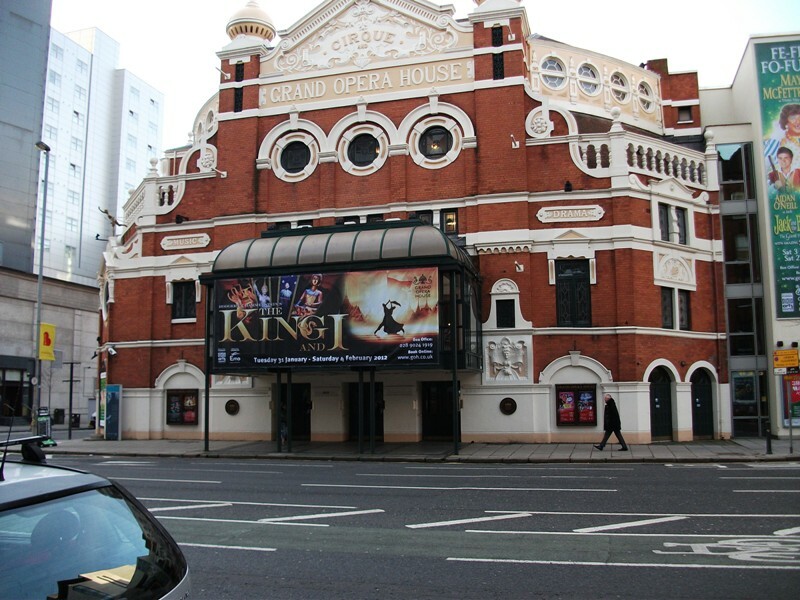 😉 There was also a market for classical opera and drama with regular performances of Shakespeare. Not many people know that an unknown Italian singer named Luciano Pavarotti made his UK debut on the stage of the Grand Opera House in the role of Lieutenant Pinkerton in Madame Butterfly. 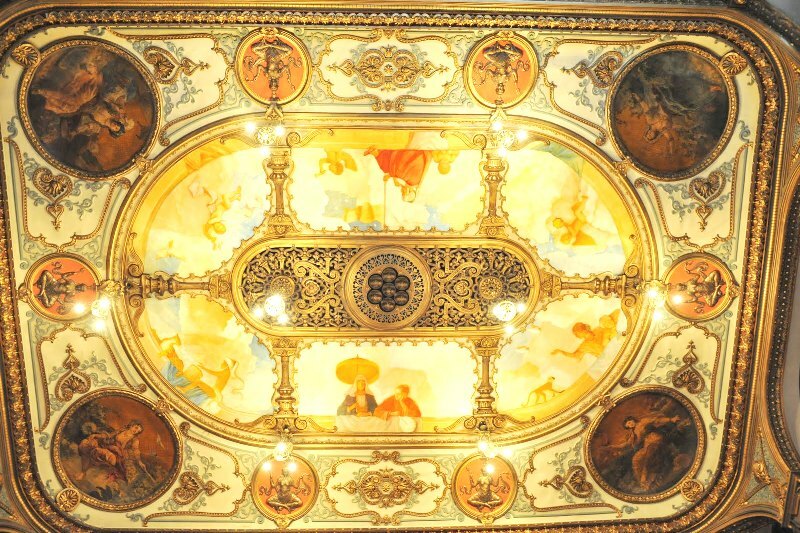 Designed by the prolific theatrical architect Frank Matcham, the theatre was a huge success from the outset. 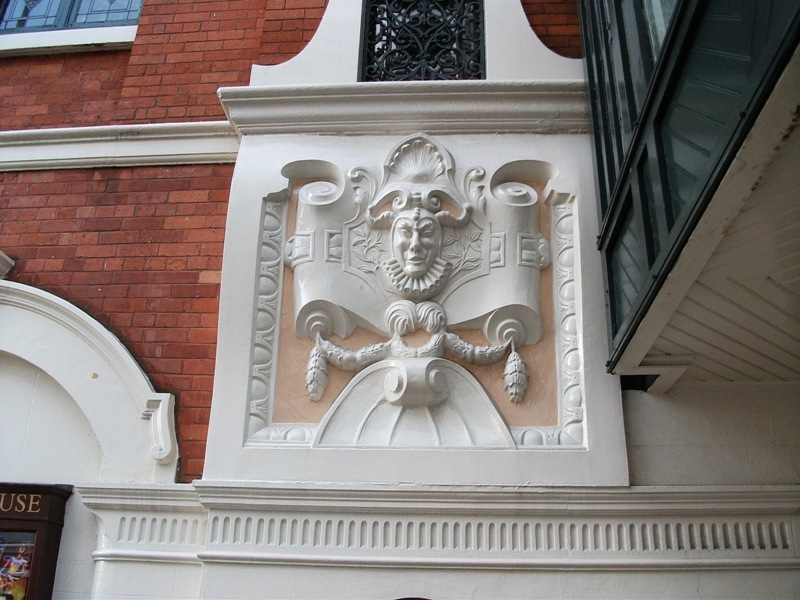 Standing almost next door to the Europa Hotel – once known as the most bombed hotel in Europe – the Grand Opera House suffered damage by bombs on several occasions usually when the nearby hotel had been the target. The theatre was listed in the 1970s and has been restored extensively since. 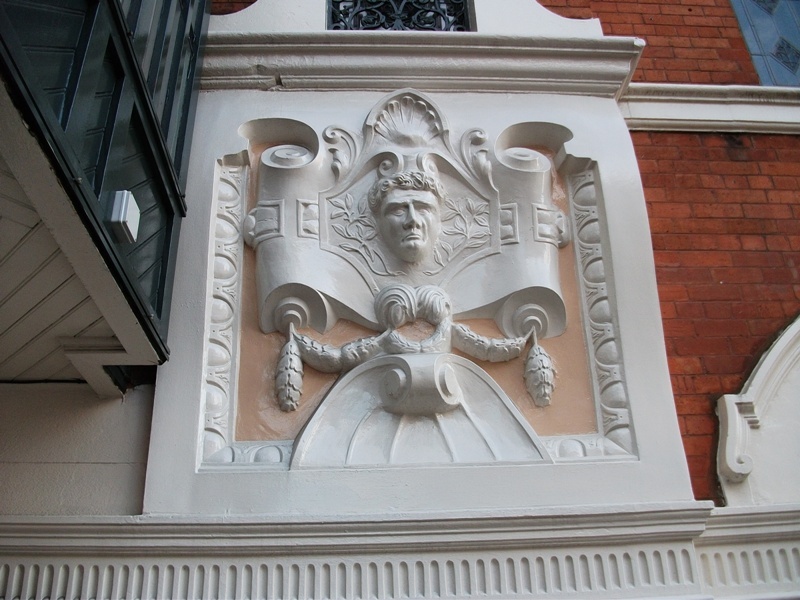 The crush bar on the front of the building at first floor level, was part of the restoration work and it overlooks Great Victoria Street. 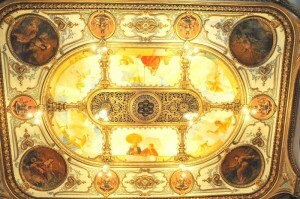 When the opera house was being restored, Cherith McKinstry, a contemporary painter and wife of Robert McKinstry, the restoration architect, was selected to re-create the ceiling’s original scene in a sympathetic manner. An image of the interior can be found here. The theatre continues to thrive, hosting musicals, plays, pantomimes and live music. It has been awhile since I attended a Performance in the Grand Opera House. I see Madame Butterfly returns in March…. maybe I’ll treat myself! 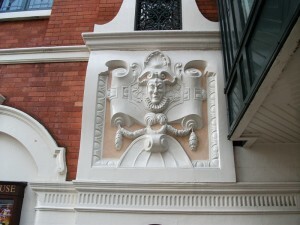 This entry was posted in Ireland on January 14, 2012 by Grannymar.